Our sod igloo was small and low, the way sod homes were constructed for warmth—twelve or fourteen feet across the floor and maybe six feet tall in the middle. Above us, from the peeled poles of the ceiling hung horizontal rows of cotton string, blackened with dried blood. There my mom hung strips of meat to dry. The meat darkened until it was ready to turn on the strings. When the strips were dry enough to keep, she’d stuff them into cloth flour sacks to store outside in our log cache. Then my dad would slice more for her to hang. All winter meat hung drying. Bags and bags of dried caribou went into the cache – for lunches all winter, for making into pemmican to eat out on the trail, and for snacks all summer when there was no cold for a freezer and no caribou on this land. Tucked in where the small poles of the roof crossed the eave beam were long sheets of sinew, peeled from the backs of caribou carcasses. Dried, they curled, stiff and translucent and faintly yellow, ready to strip and use as thread for skin-sewing projects. On our beds were caribou hides, soft and warm, and giving off extra warmth and comfort in some nameless yet familiar way. Across the tunnel entrance to the outside world were more hides. Around our tiny home were household items made from caribou parts—parkas and mukluks and mittens, hide hinges, caribou skin weather-stripping, antler handles on awls and knives and saws and pot lids. Cushions on the floor and stump seats were made from circles of thick-haired caribou hide sewn together, skin-out. In the corner hanging from a wooden peg was our Thermos, in its huge fur tube, caribou hide sewed skin-out into a sleeve as big around as a stovepipe, for extra insulation during cold-weather travel. The few store-bought items we owned were protected, saved, and guarded by the harsh actuality of shortage. Caribou skins were the one material we knew no dearth of. We could hardly imagine a life without all the caribou skins a person might need. A first-person account of a life spent hunting, studying, and living alongside caribou, A Thousand Trails Home encompasses the historical past and the present day, revealing the fragile and intertwined lives of people and animals surviving on an uncertain landscape of rapid cultural and climatic change sweeping the Alaskan Arctic. Seth Kantner was born and raised in the wilderness of northern Alaska. He has worked as a trapper, fisherman, gardener, mechanic, igloo builder, and adjunct professor. He is a Whiting Award winner in Fiction, a Milkweed National Fiction Prize winner, and his debut novel Ordinary Wolves won the Pacific Northwest Booksellers Award for Fiction. He followed it with a memoir, Shopping for Porcupine, and a collection of essays, Swallowed by the Great Land. 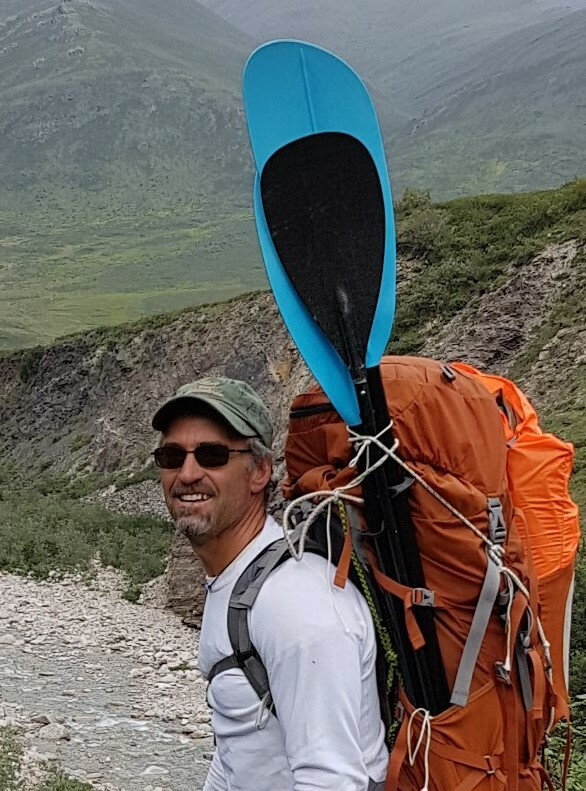 His writing and wildlife photographs have appeared in The New York Times, Smithsonian, Outside, and other publications, and he is a columnist for Alaska Dispatch News and other newspapers. He lives in various places in Northwest Alaska. The grant jury: An arresting, urgent portrait of the declining Western Arctic caribou herd and of the Inupiat Eskimos, whose lives are bound up together. With lyrical, precise descriptions of the natural world, Seth Kantner captures a rapidly changing place at a fraught historical moment, embodying issues affecting the whole planet. Kantner is about to take his place among the greatest nature writers of his or indeed any generation. He succeeds in what we hope for from any writer, whether of fiction or nonfiction: through the agency of words alone, he enlarges our experience of the world.